...dating back fifty million years, is on the brink of extinction after decades of being hunted viciously, violently, and relentlessly. In 2013 alone, 1,004 Rhinos were murdered in South Africa. Another 1,215 were slaughtered in 2014. Over the past four decades, the Rhino population has declined by a staggering 90%. As recent studies show, Rhinos are essential in maintaining the ecosystem. Like elephants and wolves, they are keystone species—remove them from the picture and the entire system crumbles. Rhinos are just like the keystone in an arch, the single block that holds all other stones in place. Though they are few in number, even when not hunted, the Rhino is an animal whose importance to the ecosystem is disproportionate. 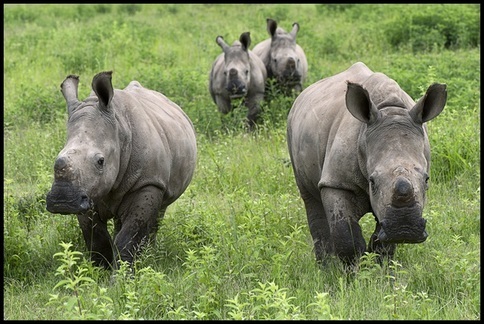 Rhinos help maintain African grasslands on which many other animals depend, according to the Journal of Ecology. In the savannas, Rhinos can reduce bush cover to create an environment favorable to a mix of browsing and grazing animals. A rare being in the modern world, Rhinos are enormous animals, mega-herbivores weighing over 2,000 pounds. They prune bushes and trees allowing other animals to browse. They also make openings in the forest for other animals to use. Even Rhino droppings are useful to other creatures. 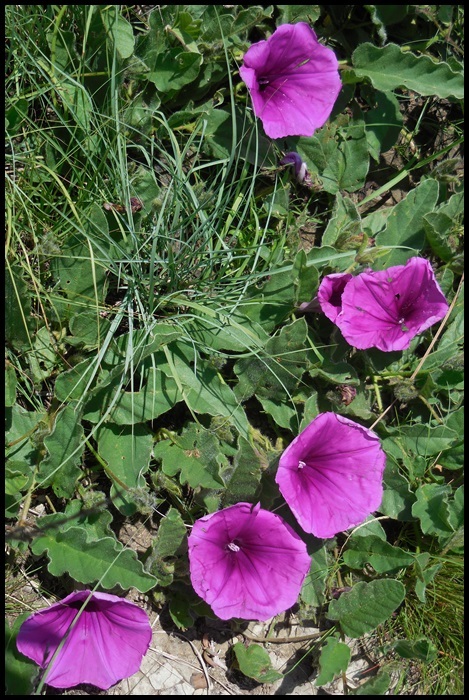 They supply nutrients to the soil and attract insects that in turn attract birds and other animals. The loss of the Rhino is believed to have a ripple effect on other animals living in the same environment. If bushes aren’t pruned, they will grow out of control, out of balance, preventing other vital plants from flourishing. 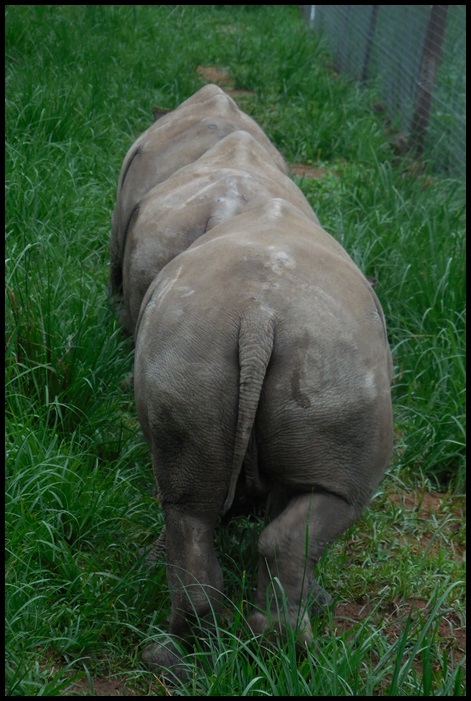 According to Mathew Waldram, with the University of Cape Town, the White Rhino maintains short grass. When the Rhino is removed from the ecosystem, other herbivores would be unable to maintain short grass communities. In addition, when Rhinos vanish, wildfires are more likely because of the increase in fuel loads. Without Rhinos, fires spread more easily. Waldram and other researchers propose that the White Rhino acts as an influential ecosystem engineer, creating and maintaining short grass swards, which alter habitat for other grazers and change the fire regime. If this is not sufficient incentive to do all we can to prevent extinction, research indicates that grasslands, which this iconic creature nurtures, serve an important global role as well—they act as “carbon sinks” that store carbon dioxide that causes climate change. Africa is home to Black and White and the Nile Rhinoceroses. In Asia, the Indian, Javan, and Sumatran Rhinos are all also threatened with extinction. With no predators — aside from humans — they are placid, easy targets for illegal poaching, especially while they drink from a waterhole or feed peacefully on grasses. In addition to poaching, which is discussed on a separate page, habitat loss poses yet another serious danger. Rhinos are pushed into areas outside their natural habitat because of lack of food or water, plus the encroachment of poachers, and human development.